Here is a postcard template to mail out to kids when they are absent. 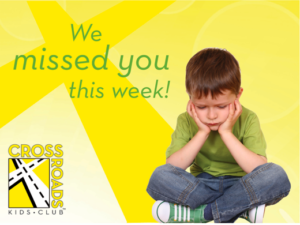 If a student misses more than a week in a row, it’s a nice reminder to them that you care about them and miss having them at club. Print double sided in color, preferably on cardstock. Cut them out and write your message.